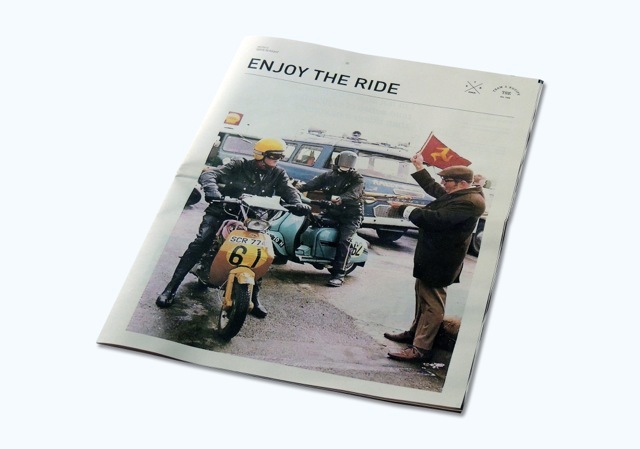 Enjoy the Ride is 'a fanzine dedicated to all things automotive, scootering, motorbikes, design, art and photography' created by graphic designer David Hardy. It's a beautiful publication for sale in the Newsagent for £6.50. Enjoy The Ride originally started out as a blog inspired by my love of wheels. The site features mainly vintage racing scooters & motorcycles as this is a real passion of mine. The fanzine had been in the pipeline for some time and being a graphic designer I had a real desire to translate some of the digital media into print. 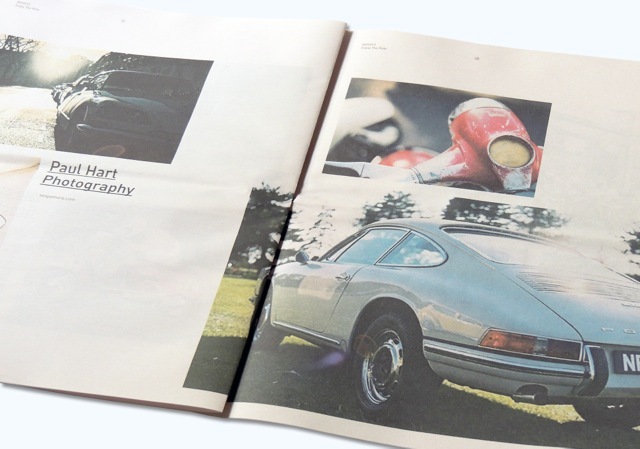 Newspaper stock suited the archive imagery and 35mm photography perfectly. The concept behind the delivery was to create something mainly visual and not text heavy. 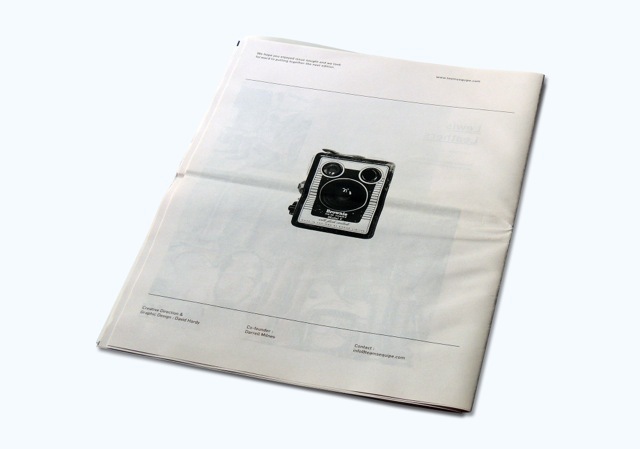 There's also something about the disposable quality of a newspaper that's really attractive. 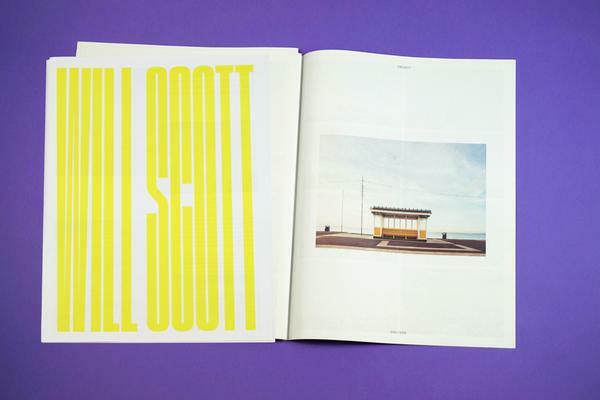 Once the pages are filled with typography and photographs it immediately creates tension. 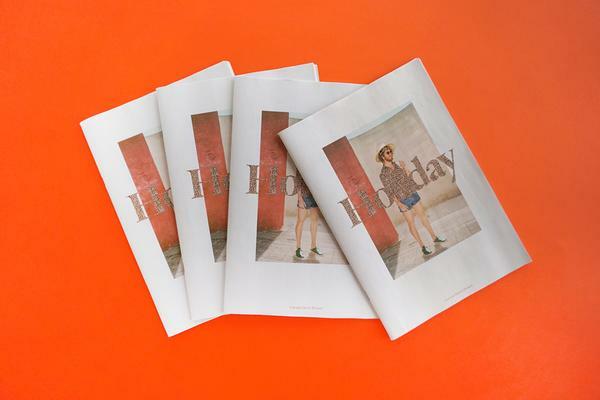 The first issue was dedicated to notions of adventure, voyager, gadabout (One who roams or roves about, as in search of amusement or social activity). For many of us the pleasure of riding is a means of relaxation, escapism or in some cases a kind of prozac. We ride to experience new places, meet new friends and sometimes push ourselves beyond our comfort zones. As the road broadens, so does our emotional states of mind. Work is currently underway on a second issue. 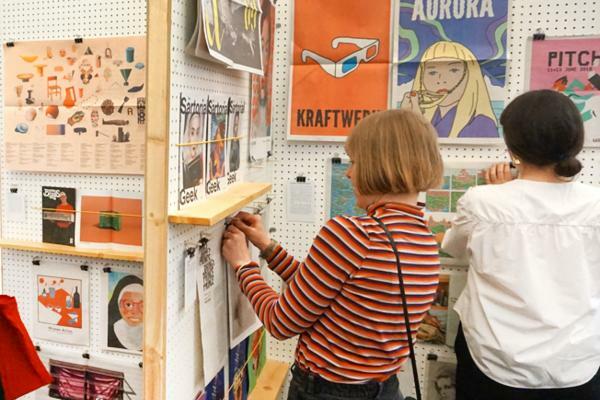 Thanks for printing with us, David!